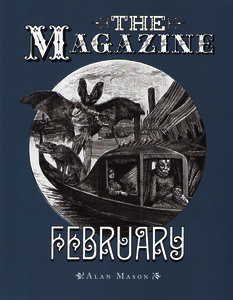 The Magazine is a picture book – up to a point. A Victorian volume. A compendium of stories which reads in twelve monthly parts. It relies on words but there are times when words fail. It's a book of serialisations and cliff-hangers. Poems that drop off the edge. Letters of complaint. Improving articles. Amendments. Announcements. Plagiarisms of no great account and tall tales that fall short. An illustrious fiction in which each page is made from 100 others. Like a poison endlessly diluted,each page contains a memory of the original strain. The strain shows mostly in the writing which is orotund and archaic and needlessly drawn out like the volume itself. In short this is a novel like no other. 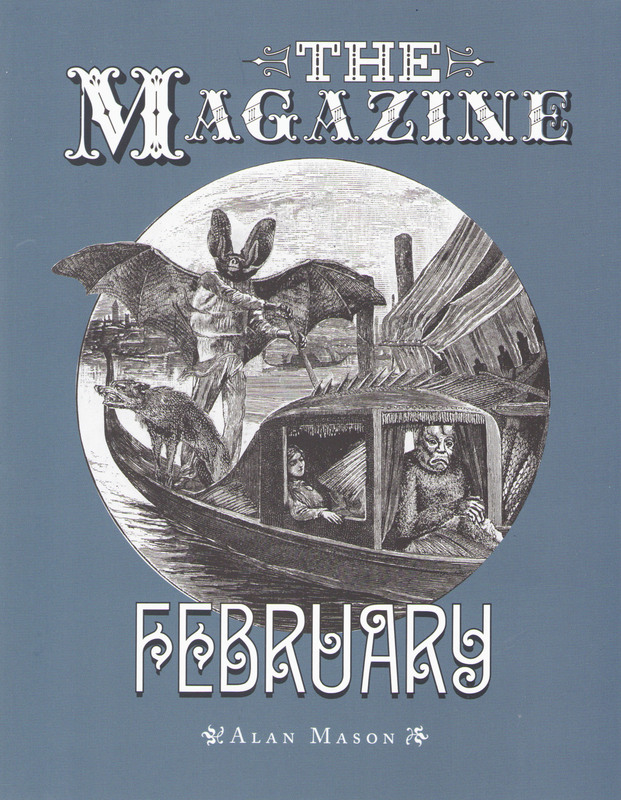 Unabridged and playing out in twelve distinct – and distinctive – instalments,The Caseroom Press is pleased to present the second in the series: the February edition of The Magazine by Alan Mason.